If your roof leaks, has pooling water or your gutters and drains overflow in heavy rain, then your first call should be to Tandem Trades for a professional water flow consultation. With over 25 years' experience, our licensed metal roofers are able to analyse the pitch, lay and structure of your roof and design a water flow solution that could save you considerable money in the months and years to come by avoiding costly repairs to your leaky roof. No roof is too large or too small for the team at Tandem Trades- Expert roof repair contractors based in the Sutherland Shire, and we specialise in all residential, commercial and industrial leaking roofs repairs across the greater Sydney region. For an obligation free quote and water flow consultation for your roof, please Contact us today. We provide expert roof repairs services and help in fixing leaky repairs to residential, commercial and industrial customer services throughout Sydney, including Sutherland Shire, St George, Inner West and the Eastern Suburbs Sydney. 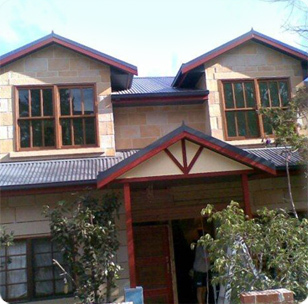 Call Mick - Licensed and fully insured metal roofing expert contractors in Sydney on 0439 417 147 or send us an online enquiry.ee enquiry.